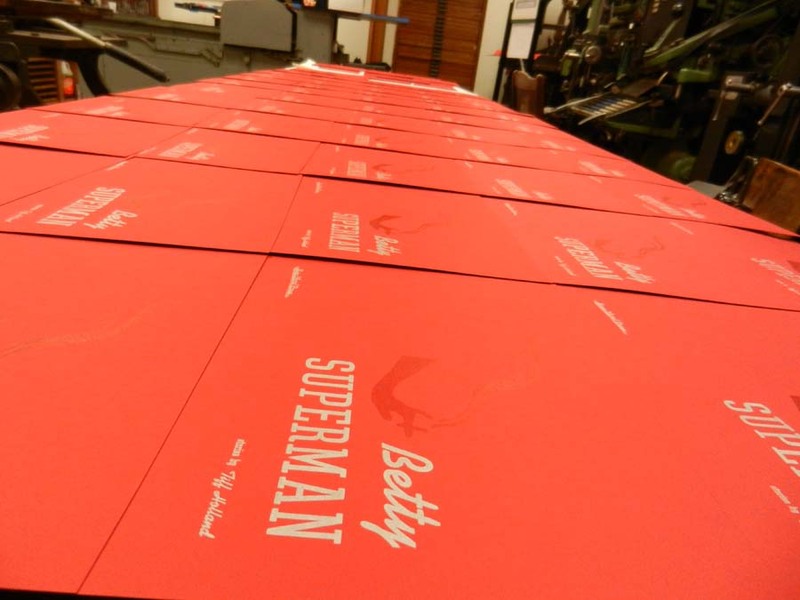 Rose Metal Press: The Making of Betty Superman! 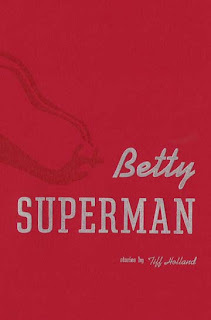 Today is the official release of Tiff Holland's Betty Superman, winner of our 5th annual short short chapbook contest, judged by Kim Chinquee. Betty Superman can be yours by ordering here! As with all of our chapbook winners, we printed the covers for Betty Superman by hand on a Vandercook letterpress at the Museum of Printing in North Andover, Mass. 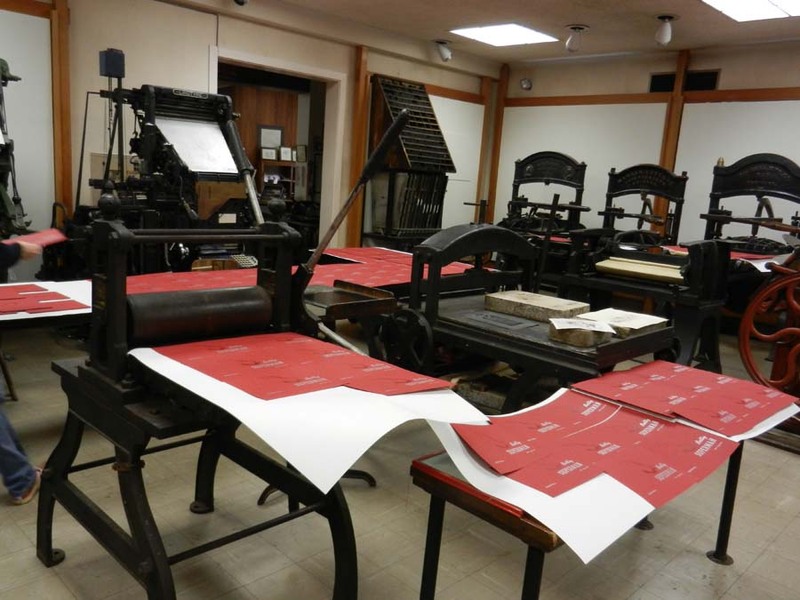 For two amazing days in early June, we cranked out 350 covers—twice, once with red ink and the smoking hand, and again with the metallic silver ink and text. 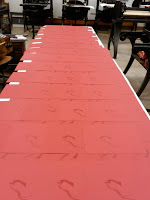 who was at that time laying all the newly printed one-color covers out to dry. 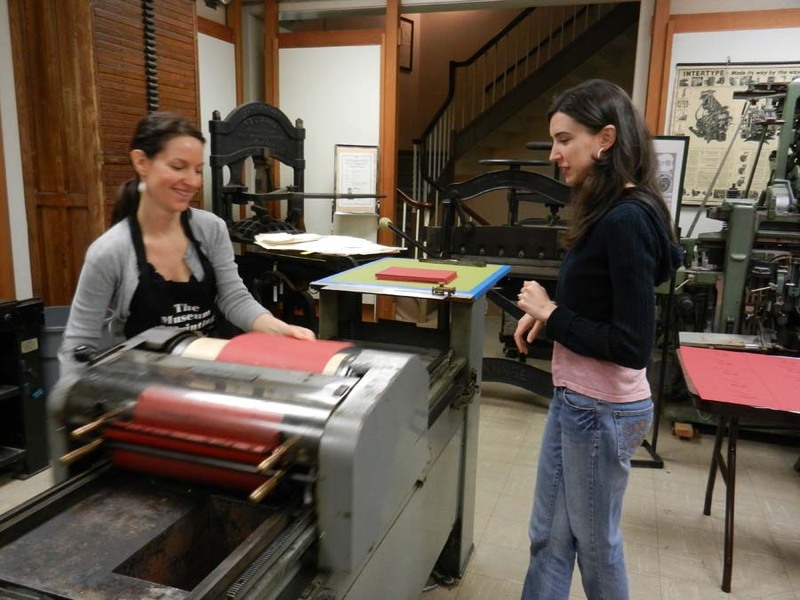 We all wo-manned the Vandercook printing press throughout the day. 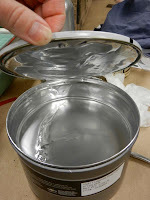 Once the red ink dried it was time to set the type for the text and print the metallic si lver ink! 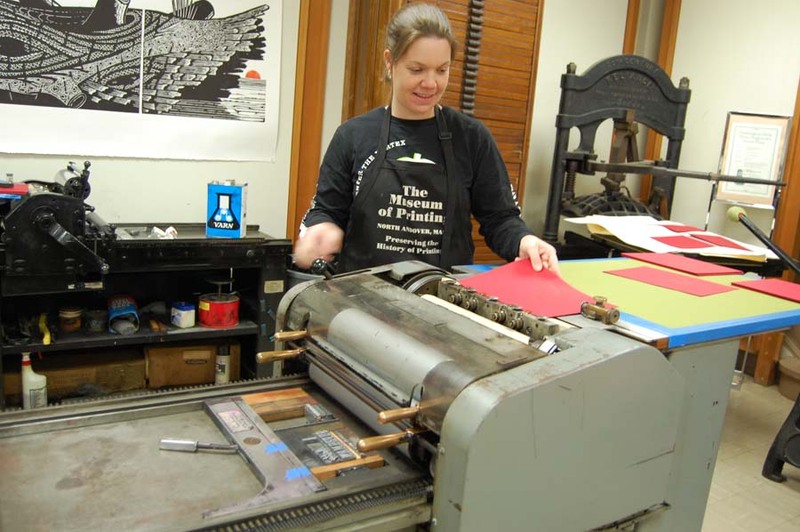 Here is Rose Metal Press co-founder Abby Beckel printing the silver text on the formerly one-color covers. 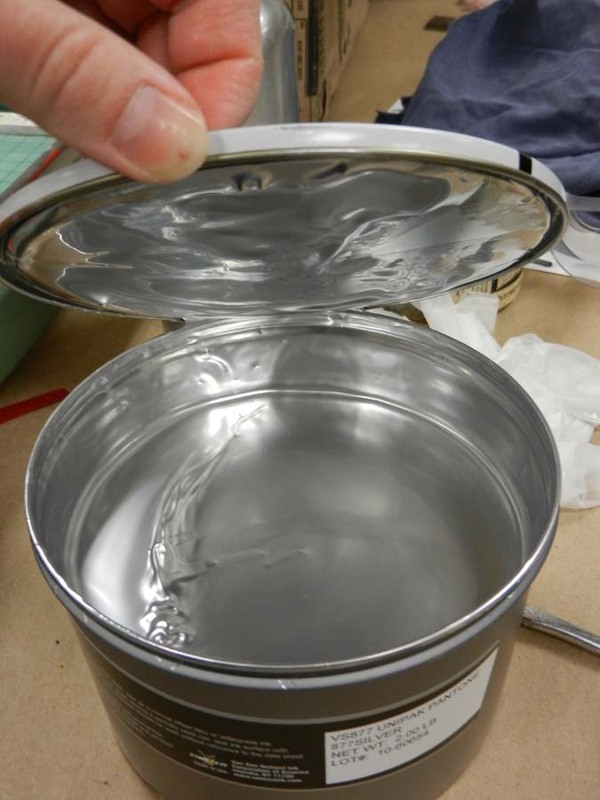 Here's a finished Betty Superman coming off of the metal type we pulled and set by hand. 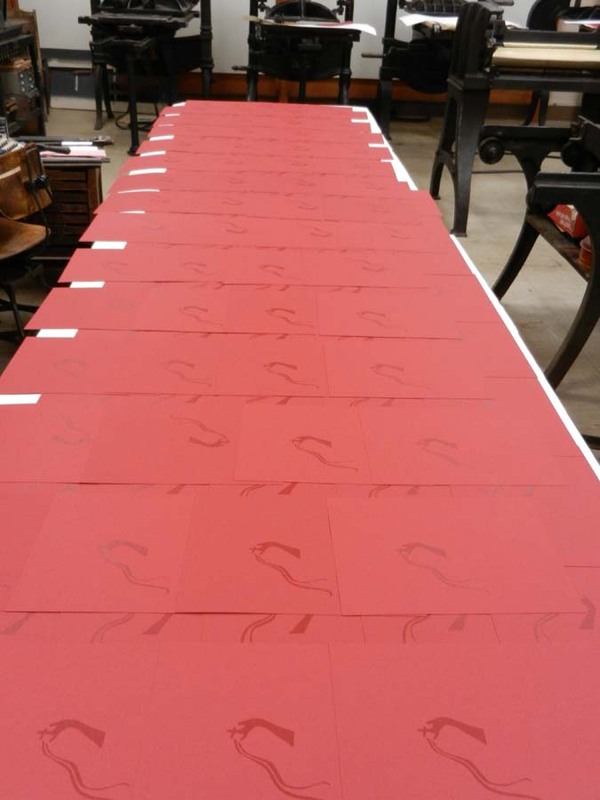 And the finished covers out to dry all over the Museum. 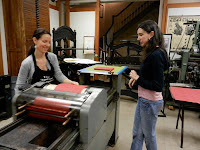 Check out this video of Betty Superman on press! 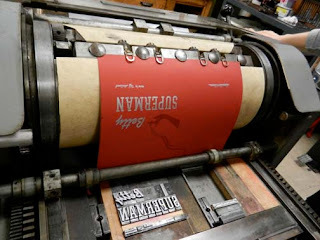 Once the covers were printed, the lovely folks at Red Sun Press in Jamaica Plain, Mass. printed the interiors and did the handwork to bind those interiors with our letterpress covers and very cool metallic midnight blue endsheets and create the finished chapbook! The book itself is beautiful, but more importantly Tiff Holland's stories are amazing—contest judge Kim Chinquee writes of Betty Superman: “From beginning to end, Holland’s stories layer, offering colorful pictures that speak to one another, developing the angst and sympathy of the relationships between these family members into a complete whole. Each time I read this collection, I find more to love." 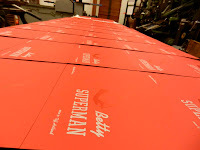 Buy your limited edition (only 300 in print) chapbook of Betty Superman now! Great job. Thanks for documenting this and thanks for posting the great photos.